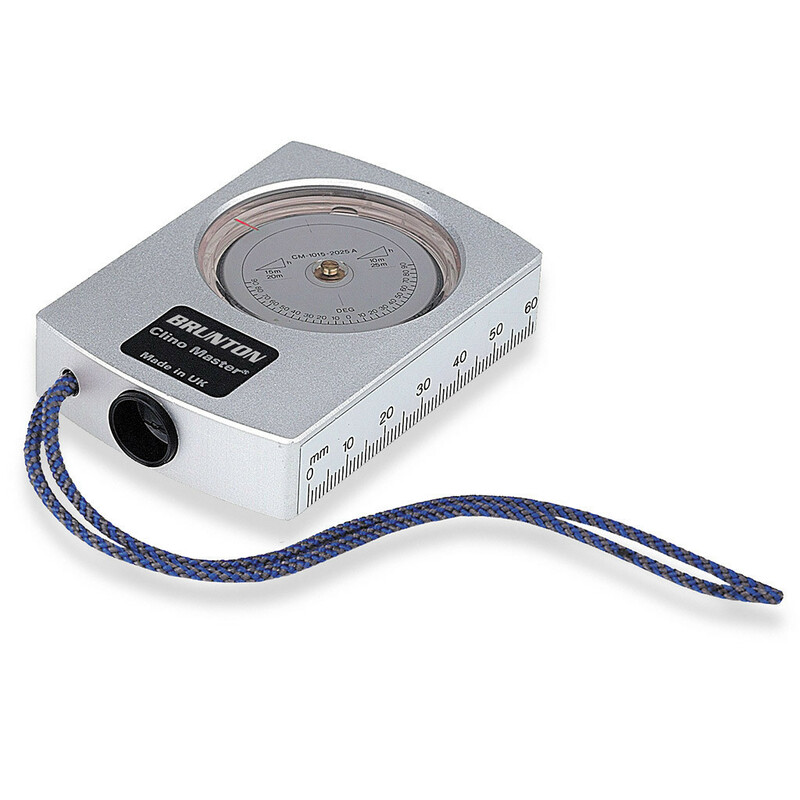 Unfortunately, the Brunton ClinoMaster Surveying Compass is no longer available. You can explore other items in the Navigation & Compass category yourself to try and find the perfect replacement for you! The Brunton ClinoMaster CM360LA height meter/clinometers represent the highest quality in precision sensitivity and durability. The ClinoMaster can measure the height, angle and slope of almost anything readable from 0-90° and 0-150°, with estimations to 0.25°. A rugged, aluminum housing has inch and mm scales. It also features a tangent table for quick height measurement, useful distance conversions and a tripod adapter hole for inclination measurement using our tripod and monopod.